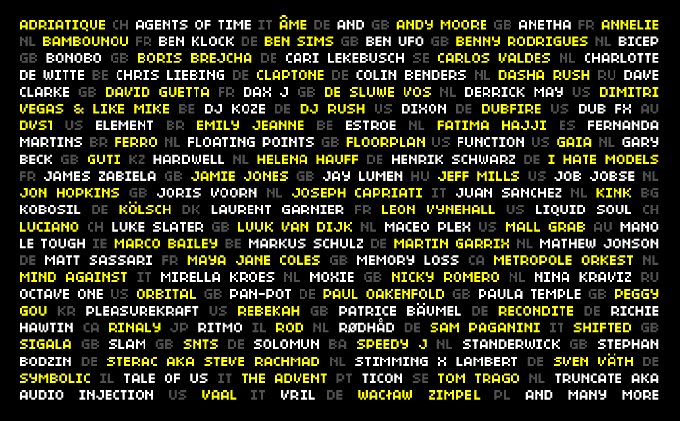 The Amsterdam Dance Event (ADE), the world's largest festival and business conference for electronic music, today announced the first selection of artists for 2018. Among them are Bonobo, Charlotte de Witte, Colin Benders, GAIA, Jeff Mills, Laurent Garnier, Martin Garrix, Nina Kraviz, Orbital, Peggy Gou and Richie Hawtin. The organisers expect to welcome a record breaking 400,000 visitors for the 23rd edition. 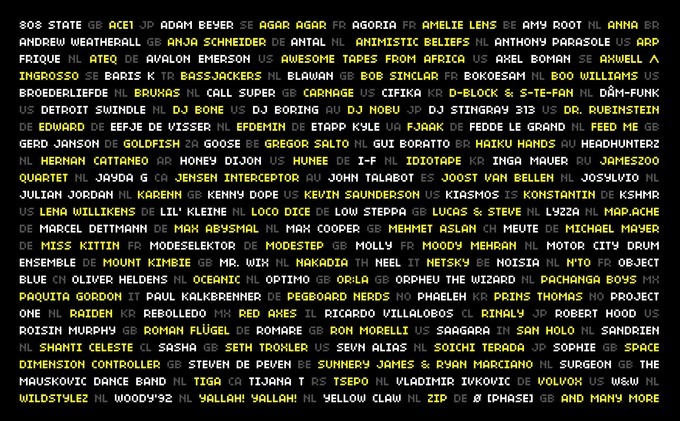 The Amsterdam Dance Event (ADE), the world's largest festival and the most important global business conference for electronic music, announced its second selection of artists today. Among them are Amelie Lens (BE), Axwell / Ingrosso (SE), Broederliefde (NL), CIFIKA (KR), Kiasmos (IS), Oliver Heldens (NL), Ricardo Villalobos (CL) and Sasha (UK). Amsterdam Dance Event is undoubtedly the biggest electronic music conference in the world. Starting out as a relatively unassuming gathering back in 1995, when just 300 delegates and 30 DJs were in attendance, ADE now attracts over 350,000 visitors every year. During ADE the dutch capital hosts a myriad events from countless panels discussions at the main conference through to pop-up performances, tech schools and even a cooking competition. The event is one of the highlights of the electronic music industry calendar with delegates flying in from all over the world to network, collaborate and hit the dance floor. ADE’s impact is felt throughout the industry every single year, with thousands of meetings occurring across the city, creating new relationships and helping many aspects of the dance music scene to continue flourishing, from the studios of the world’s greatest producers and the boardrooms of the biggest labels, to the bedrooms of the latest new stars and the DJ booths of the hottest new clubs. A veritable who’s who of dance music superstars is also in attendance every year, putting on parties at most of Amsterdam’s clubs, from intimate, underground and quirky spaces to the superclubs, so whether you’re keen to expand your business, or you simply want to party all week long (or both), there is something to please everyone. ADE has become a mecca for electronic music artists. The travel to Amsterdam in the hope of pushing their careers forward, getting management or a booking agent, finding a label to sign their music or a gig to showcase their talent. This means there’s a good chance you’ll discover someone you’ve never heard of at ADE, simply because there are so many musicians trying to break through. Label showcases, debuts for newcomers at some of the bigger parties, impromptu street performances or in-store shows, it’s all happening - you just have to keep your ear to the ground. From David Guetta to Like Mike, Matt Sassari to Truncate, Mall Grab to I Hate Models, there are thousands of artists playing all over town, new and old. A good place to start is the ADE University, where wannabe artists are encouraged to attend workshops, talks, networking events and panel discussions aimed at helping them to become industry professionals.